Almost all versions of ms access face corruption problems. Any kind of access database corruption issue can lead to loss of important file elements and table structure with primary and unique keys with other ole data. Access database repair software is effective mdb recovery software that can be applied to repair damaged, corrupt or inaccessible mdb files quickly. With the help of this software, users can resolve all errors occurred due to over exceeding the file size limit or those caused by jet engine errors. Thus, users can recover all the table entries data, table relations, table structures, memo data, and ole data. In addition, it also enables you to recover internal data structure constituents like auto number, primary key, field size, etc. quick and complete recovery of access database mdb & accdb files is ensured by the two embedded recovery modes, viz. , standard mode and template mode. The standard mode is used for minor access database corruption whereas in condition of major corruption problems, when the internal structure of database is also get damaged, the template mode is appropriate recovery mode. Access database repair tool is included with user friendly gui features in order to ensure absolute scanning of damaged ms access data. Ms access database recovery tool supports all the available versions of ms access like ms access 2010 / 2007 / 2003 / xp / 2000 / 97. For more information visit www. Recoverfilesdata. Com/access-file-recovery-software. 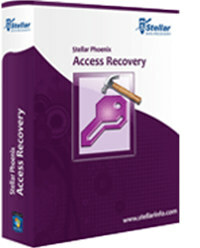 Access File Recovery Tool is an utility that works under windows xp, windows vista and windows 7. It supports both 32-bit & 64-bit windows editions, therefore it could run faster on 64-bit computers. Estimated download time for Access File Recovery Tool on a common adsl connection is less than a minute. Version 4.1 was released two thousand three hundred eighteen days ago by Access File Recovery Software. Click the green download button to download it now.